Below are instructions to control the microscope from the software. To choose the channel you want to look at, click here. To turn on the fluorescent light, click here. To turn off the fluorescent light, click here. 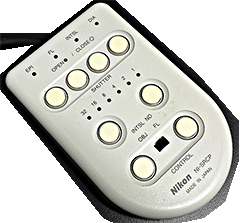 To adjust the brighfield light, use the slider in the Ni-U Pad. 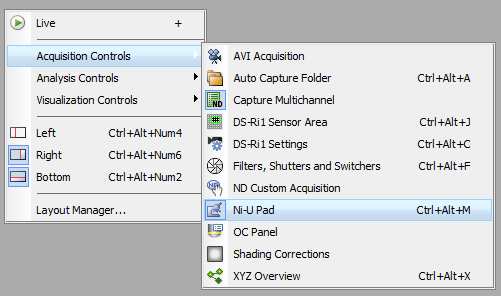 click on Acquisition Controls and then choose Ni-U Pad. And to restore defaults, this green arrow button at the far left should do this.